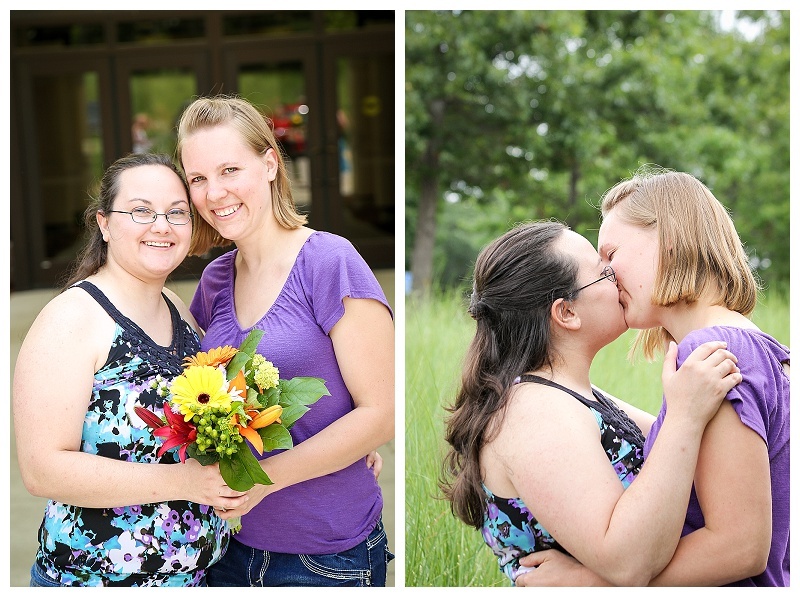 Steph & Katelyn — MARRIED! 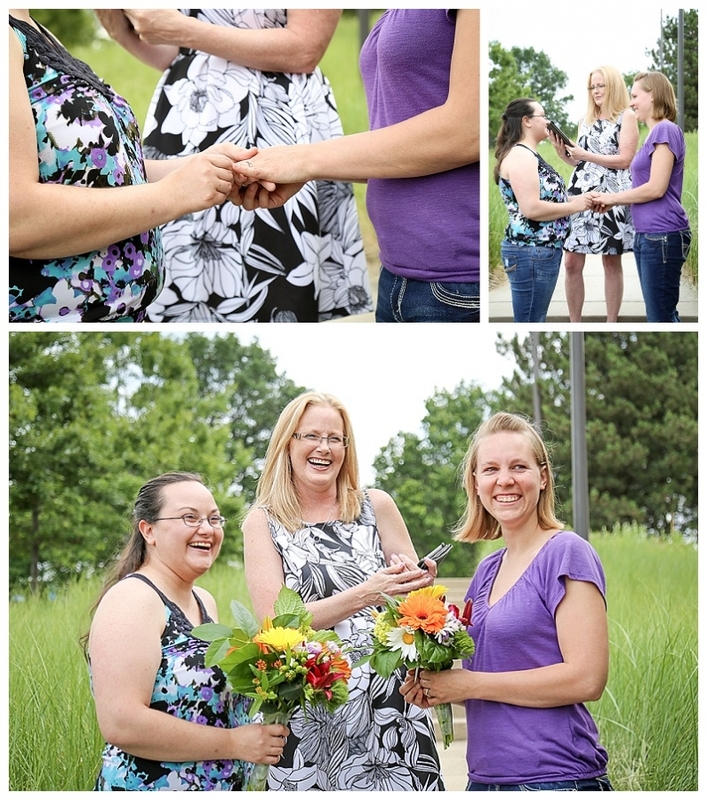 Jason and I had the extreme honor of photographing the first LGBT wedding in Ottawa County. 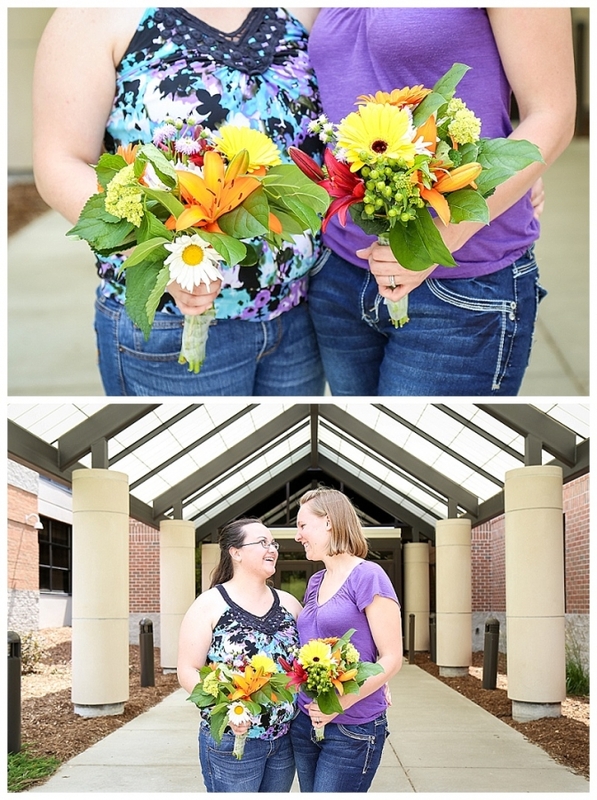 The ladies were married in a beautiful, formal ceremony previously, but jumped at the chance to make it official after the SCOTUS decision came back on June 26th. 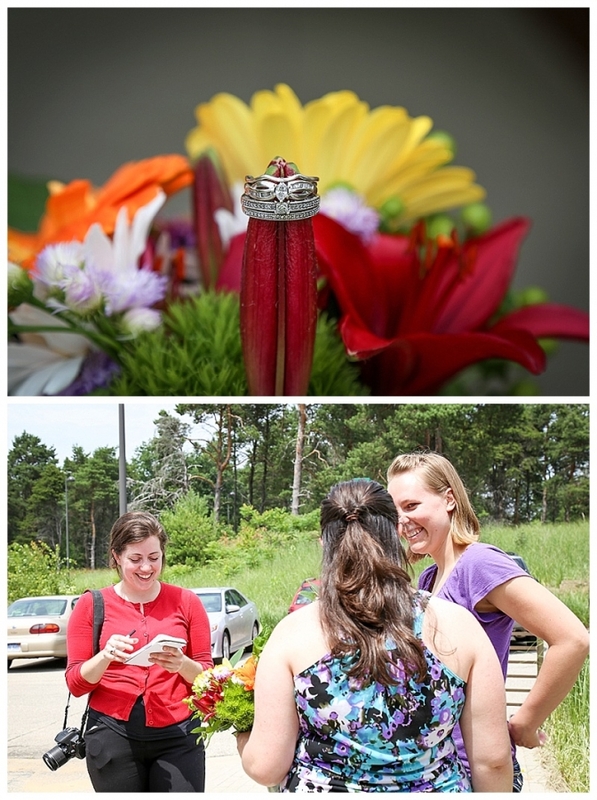 We met them at the court house along with Reverend Cheryl Hooten from Dream Day Weddings in Saugatuck. 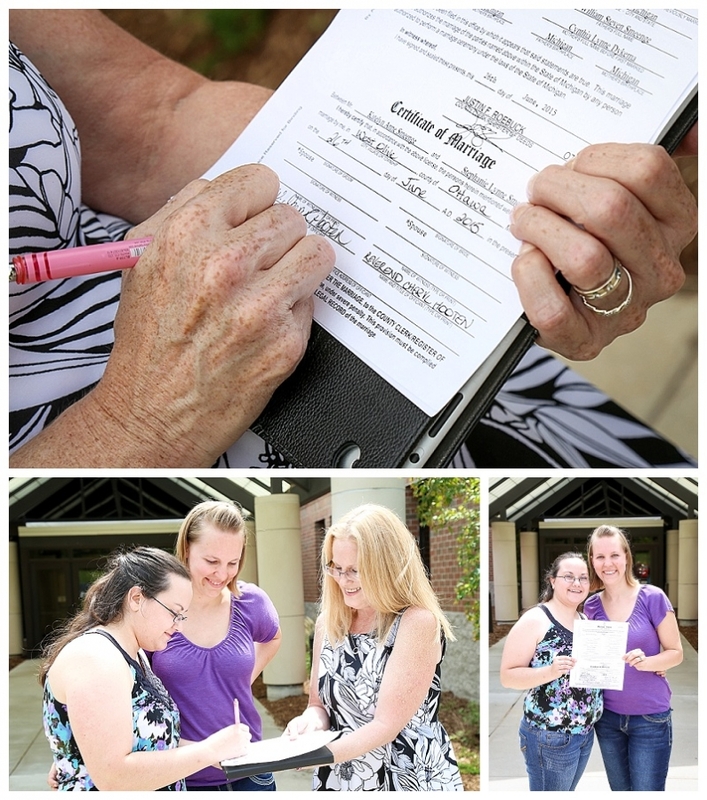 The paperwork was completed and the ceremony was held outside of the county clerks office in West Olive. 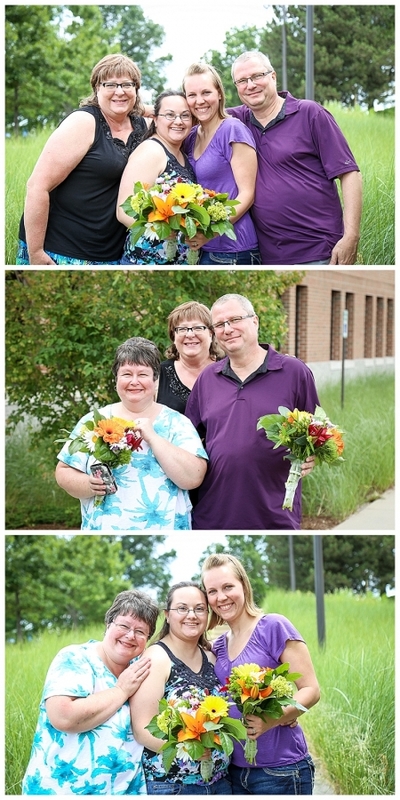 County workers watched from windows and a few even came outside and cheered and clapped the newly legally married couple!